Kallah registrations are pouring in- 0ver 250 souls have registered so far, and we are well ahead of the pace of the last 4 Kallot. Whole minyans of Renewal Jews are signing on. 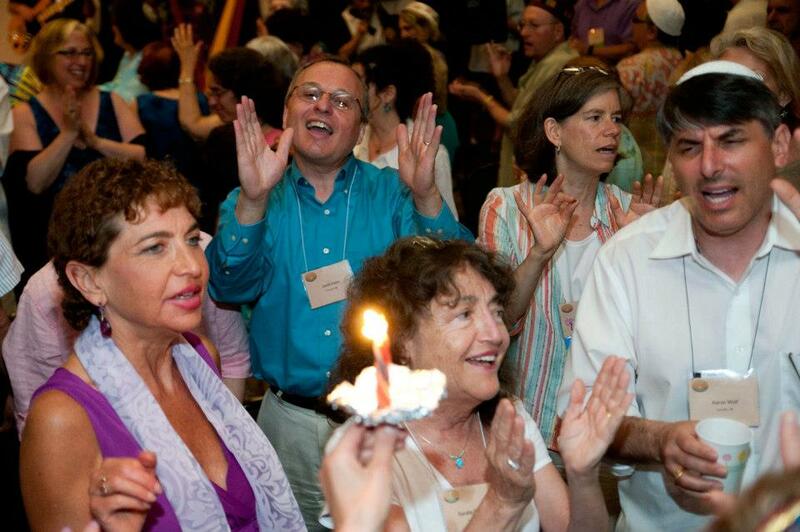 Come July in Ringe NH, we are on course toward an energized gathering of hundreds from around the world! So don’t put off till tomorrow what you can do today! To ensure you get the classes and lodging preferences you desire, register for the 2013 Kallah today. Posted in ALEPH Kallah, General Interest, Learning Opportunties and tagged aleph kallah, jewish renewal, jewish retreats, Kallah, Reb Zalman. Bookmark the permalink. I’m getting excited! Am preparing to teach some fresh versions of some of the most beloved gospel tunes around, all with appropriate Hebrew verses built in so they can be sung as part of a service. In addition, I’ve been learning more secrets of the hows and whys of creating ecstatic group experience. Can’t wait to pass the info on. Still looking for a gospel keyboardist! Could mean free registration for the right person. Contact me if this is you!